In her reelection campaign in 2017, Angela Merkel made a strategic error by not putting EU reform on her agenda. She is now paying a heavy price for that mistake. So is Europe. Germany’s partners in Europe have largely given up. French President Emmanuel Macron, who once pinned such high hopes on the renewal of the Franco-German engine, doesn’t even talk about large-scale EU reform any more. The president of the European Commission, Jean-Claude Juncker, has also given up castigating the German government, as he no longer expects much from Berlin. That’s how low expectations of Angela Merkel in her fourth term as chancellor have fallen. For the past two years, Merkel and her government have spent their time sitting on their hands. First, it was the German election campaign that supposedly made it impossible to take any kind of significant decision. Then it took another six months to form a government. But by the time the new grand coalition finally took office, the upcoming regional elections in Bavaria and Hesse precluded any kind of meaningful policy. There is always something on the German political calendar that one could use as a pretext to delay bold action. All of that is finally over and done with, but Berlin is still not moving because the December party congress of Merkel’s Christian Democratic Union (CDU) is monopolizing attention. That’s when a new party head will be elected—Merkel, after the enormous losses her conservative bloc incurred in Bavaria and Hesse, is not standing again, though she intends to remain chancellor. Though depending on who gets the job and which political wing of the party he or she stands for, Merkel may not even be able to last her full term. Much of this is her own fault. In the first half of 2017, Merkel made a huge strategic error. 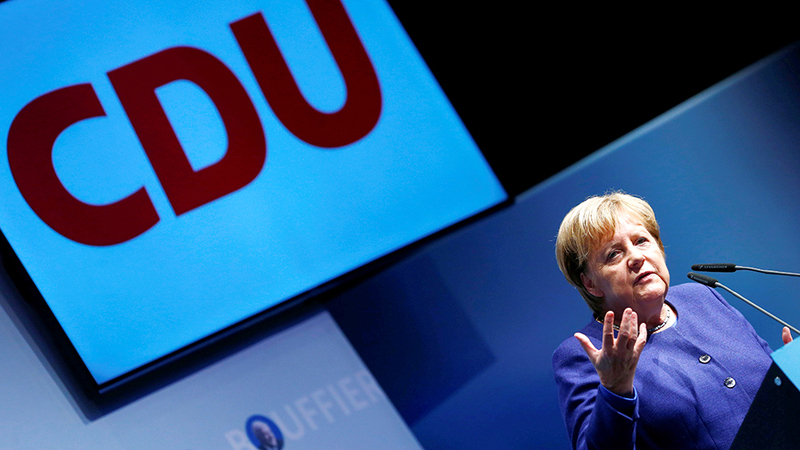 Having decided to run for a fourth term as German chancellor, she went for an anodyne campaign message. It was centered around ideas of social cohesion, prosperity, and security, but offered very little in terms of the bigger picture or even concrete policy. Most importantly, Merkel failed to engage her voters on Europe. 2017, of course, was the year that Emmanuel Macron, with the promise to renew the European Union, defeated the right-wing populist Marine Le Pen in France’s presidential elections. It was also the year that tens of thousands of European took to the streets in the Pulse of Europe movement to show their support for European integration. Discussions over the 60th anniversary of the Treaty of Rome on which today’s EU is built revealed a willingness in many member states to consider serious reforms. Institutionally, the timing was right, too. After the Bundestag elections of September 2017, a unique window for reform opened: there were 20 precious months until the European Parliament elections in May of 2019 in which to agree on and adopt change. Politically, nobody would have benefitted more from a European relaunch than Merkel. Only decisions at the EU level can deliver workable solutions on issues as diverse as trade policy, digital competitiveness, defense, and eurozone reform. Any of those would directly benefit Germany. But where Merkel is most dependent on Europe is the refugee issue: she needs a policy that would allow her to keep the number of people coming to Germany under control without having to disown her own decision in 2015 to keep the country’s borders open to a million refugees from Syria and elsewhere. A European asylum agency with standardized procedures, new rules for distributing refugees among between EU countries or sharing the costs of sheltering them, or even the establishment of offshore camps—any of these reforms would have done much to strengthen Merkel’s domestic position. And with those European achievements in hand, Merkel’s fourth term in the chancellery would have gone much smoother at home. She could have kept Interior Minister Horst Seehofer, who twice came close to toppling her government this year, far more closely under control. A pro-European narrative centered around more accountability and democracy in Brussels as well as workable EU policies on refugees and the euro would also have helped contain the German right-wing populist Alternative für Deutschland (AfD). France showed that it was possible to galvanize voters around a new European project; in Germany, this would have been even easier. Europe, after all, still is very popular with Germans. A recent poll commissioned by the European Parliament showed 81 percent of Germans in favor and only five percent against their country’s EU membership. 76 percent of Germans also said that EU membership was bringing Germany tangible advantages. But Merkel passed up this chance—most significantly in 2017, when running a more EU-focused campaign could have given her a mandate to overcome the more Euroskeptic voices within her own coalition. Later, she could have come up with a proper response to Macron’s Sorbonne speech of September 2017, meeting the French president halfway. Or she could have put forward a European plan of her own once she was reinstalled as chancellor. Even today, she could attempt to craft a narrative that explains her own political goals and vision of Germany’s future within the wider European context. But she hasn’t, and chances are she won’t. Merkel is always brilliant on detail, and she is very good in a crisis, but she doesn’t do the big picture. And in contrast to someone like Wolfgang Schäuble, now the president of the Bundestag, she is not an instinctive European. Rationally, Europe is a necessity for Merkel, but she doesn’t seem to have an emotional commitment. Nor, to be fair, do most of the politicians in her government. When her coalition partner, the SPD, was led by Martin Schulz, a former president of the European Parliament, it insisted on a very pro-European agenda for the government. But when Schulz was forced to step down, that part of the coalition agreement was orphaned. Acting on Europe would have been a catalyst for a wide array of domestic issues. 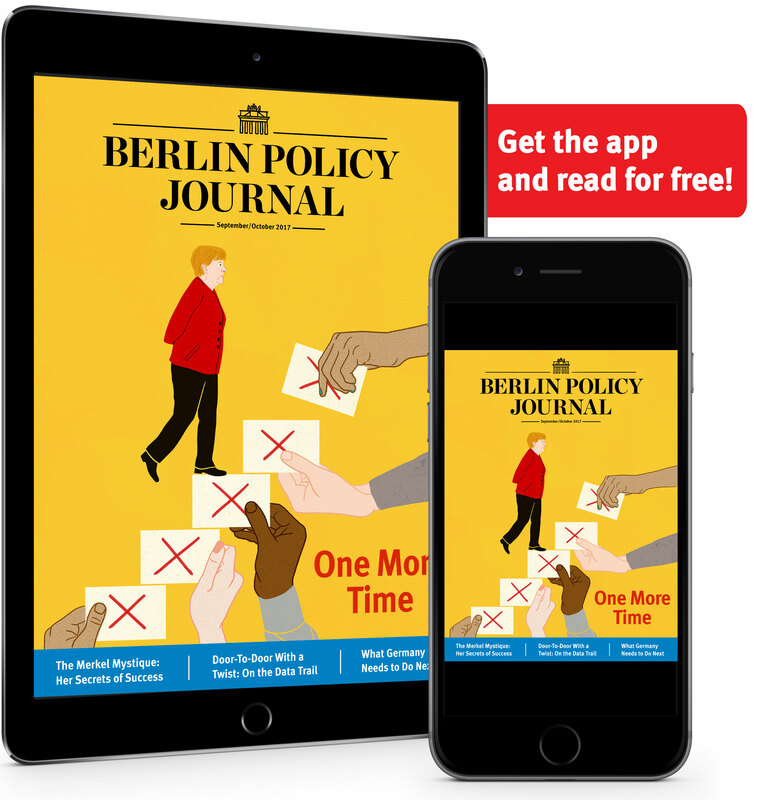 Merkel’s passivity means that her government gives the go-ahead to some individual policy projects but is unable to place them in a greater context. 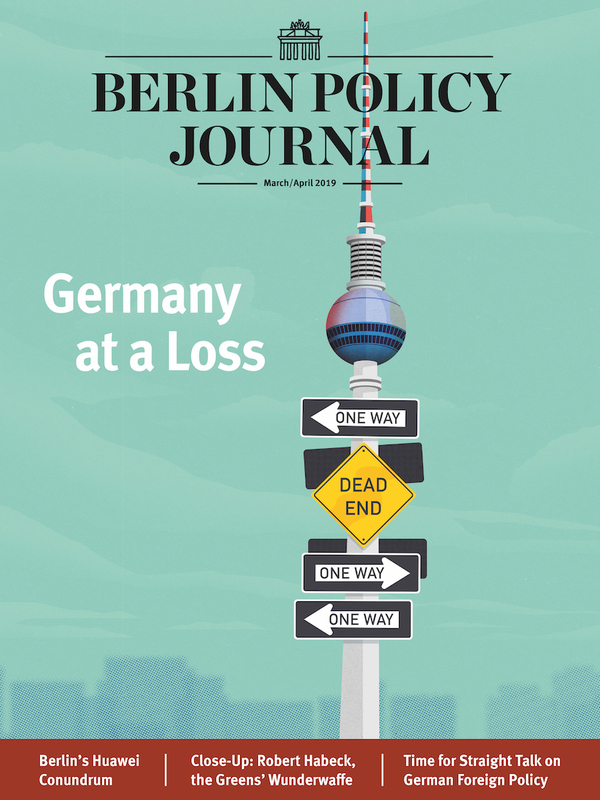 The costs are heavy—for Germany as a whole because it lacks a sense of direction, but also politically for Merkel and her coalition partners. If national elections were to take place now, her conservative bloc would get just over 25 percent of the vote, according to the latest polls. That’s down from almost 33 percent at the Bundestag elections 13 months ago. Her junior partner, the SPD, would fare even worse with only 14 percent, down from 20.5 percent last year. This would relegate the SPD to fourth place behind the Greens and the right-wing AfD. And it’s a vicious circle: as despair is spreading, Germany’s governing parties are becoming ever more risk-averse. Early elections are to be avoided at almost any cost. Europe, however, has suffered the most. In crisis situations—such as Brexit and US President Donald Trump’s attacks on free trade—Merkel and the EU still react well. But the chancellor’s prolonged silence on the future of the European project means that the EU has wasted two crucial years. Given the rising tensions between eastern and western members states as well as the north and the south, institutional reform would always have been difficult. With Italy now governed by a strongly nationalist and openly anti-European coalition, it seems impossible. Italy—and behind it, other euroskeptic governments emboldened by Rome’s stance—also prevents the establishment of a common asylum system or the tightening of rules for the common currency. With Italy insisting on a budget that the EU has rejected and the global economy deteriorating, the next euro crisis is on the cards. In March 2019, there will be an EU summit in the Romanian city of Sibiu. It was supposed to be the meeting where the final agreement on renewing European integration would be delivered, but instead it will mark the closing of the window of opportunity. In May, the European Parliament election amounts to something like a reset button for Brussels. A new Commission will be appointed, which will need time to get on its feet and define its political program. At the same time, the dynamics within the Strasbourg parliament will fundamentally change. With the rise of right-wing populism, the main fault line will for the first time run between pro-Europeans and anti-Europeans. Jean-Claude Juncker, in his speech on the state of the European Union in September 2017, called on leaders to “fix the roof while the sun is shining.” It’s a pity that Angela Merkel didn’t listen.